I've owned and used the Feathered Friends Perigrine for two seasons now. My bag has the 850+ overfill and is probably good to -35 F easy and although the basic design is quite functional there are some changes I would like to make the bag more user friendly. The first change is solid fabric tape to separate the zipper from the nylon face fabric inside the bag. Too many times I've zipped up the bag only to have the inside fabric snag in the zipper... very annoying and doesn't cost too much weight to solve it. 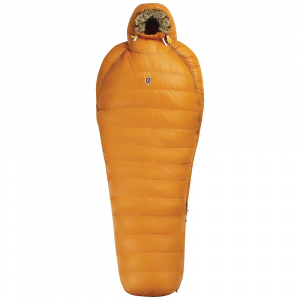 My second wish would be to change the configuration of the bag to that of Rab Designs Top bag, Nunatak Alpinist, or the newer Western Mountaineering Pod 30. No sense having down at the bottom of the bag when you will squash it (even with full baffles. A "top bag" puts the down where it matters... 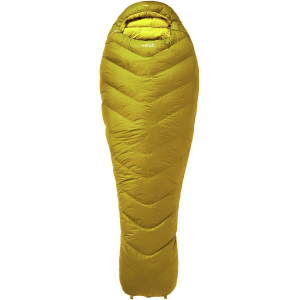 I have a Nunatak Ghost and it's the best designed bag I have ever used. Apart from that... 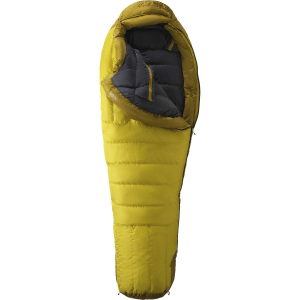 I slept in -40 F last March and the bag kept me alive. Can't get much better than that in terms of an endorsement. I got this bag last winter as a "special" from Feathered Friends. Another person ordered it and never picked it up or paid for it. Although it exceeds my needs by a good amount (it has 12" of loft) I have been thankful for it on a number of occasions. I lead wilderness trips for adjudicated youth year round and have found the bags quality far exceeds my expectations. 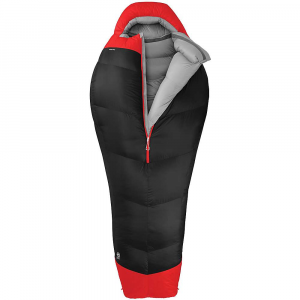 It compresses to a very small size, is very warm and comfortable and has held up very well over the past years unse in which I spent over 50 nights in it. If you are looking for a top quality bag I stongly encourage you to consider Feathered Friends. The Feathered Friends Peregrine is not available from the stores we monitor.